The marketing campaign for Jennifer Lawrence and Chris Pratt’s upcoming film Passengers has largely been based around showing that the two of them are super good friends who love to goof around, with the studio presumably hoping that this will translate into people wanting to buy tickets to see them not goof around in a serious sci-fi thriller. Apparently, though, they’re such good friends that Lawrence is now willing to take another dip into the blue body paint to play Mystique from the X-Men movies again—but only if it means getting have some superhero fun with Pratt. 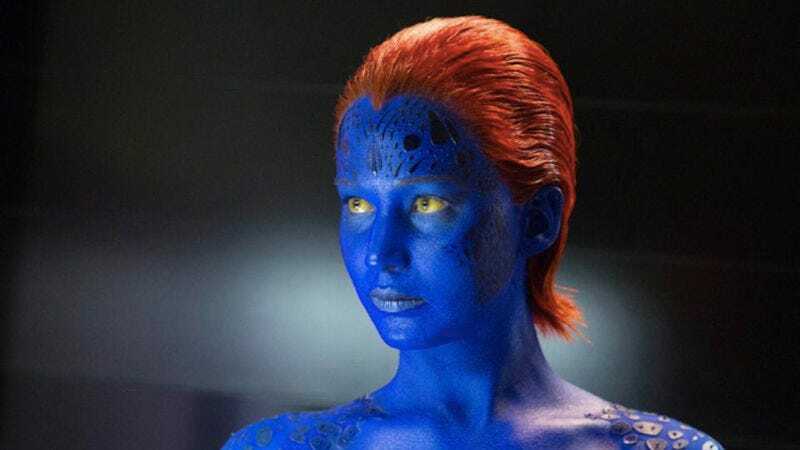 Speaking with MTV, Lawrence mentioned that she would “love to” play Mystique in a Guardians Of The Galaxy movie with Chris Pratt, even though she doesn’t want to do it for another X-Men movie. Pratt then joked that the footage of her saying that is a “binding legal contract” and that she now has to do it, but anyone who follows superhero movie rights knows that something like that would be extremely unlikely. “Furthermore,” he should’ve added, “Mystique in the comics has never really crossed paths with any members of the Guardians team, and neither have any of the X-Men for that matter, so there’s really no justification for them to even meet at all.” Of course, he would then have to correct himself by acknowledging the “Black Vortex” crossover event, in which the original X-Men team—having been brought to the future by Hank McCoy—went on a space adventure with the Guardians and a few other cosmic Marvel heroes. That’s beside the point, though, because that crossover wasn’t very good and also the complicated web of movie rights for Marvel characters makes a meeting between Mystique and Chris Pratt’s Peter Quill impossible anyway. But only a big nerd would bother pointing any of that out.